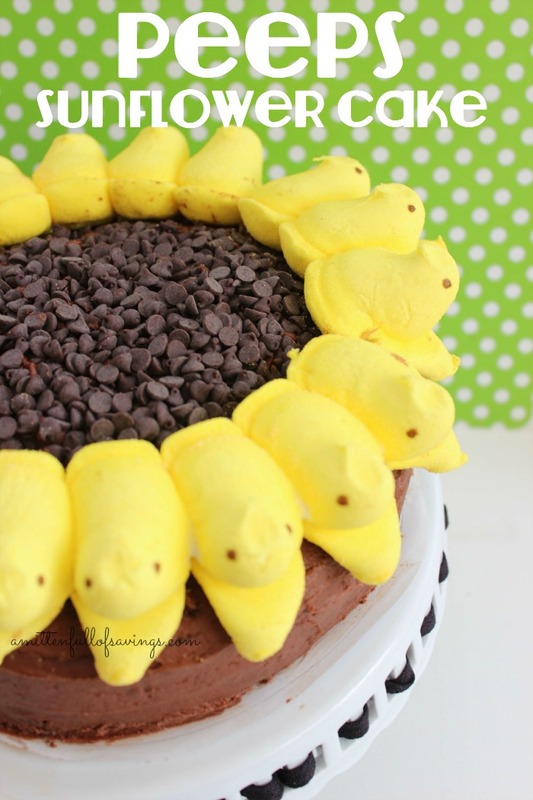 Get your “peeps” together for Easter and serve this creative Peeps Sunflower Cake. Not only will this cake be the topic of your dinner, but everyone will LOVE your creativity. They will think that you slaved for hours to make this cake. Nope. You just need to bake the cake. That’s the most time-consuming thing in this Easter recipe. 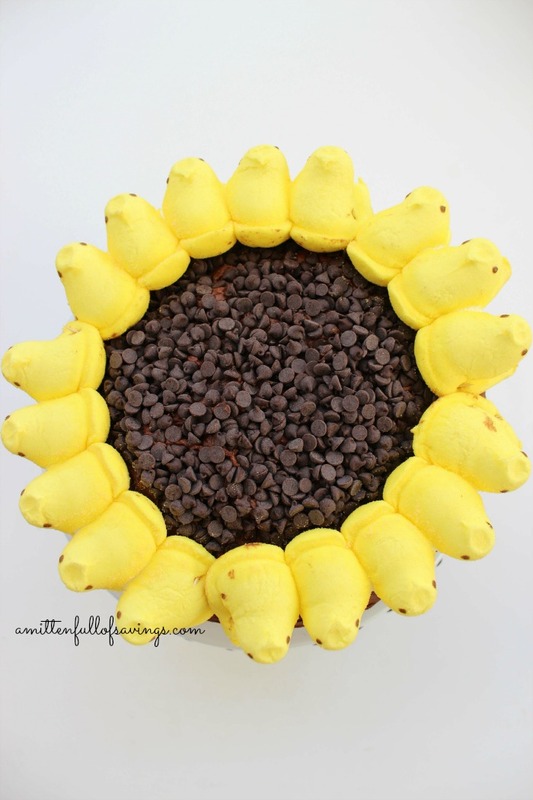 Once you bake the cake, adding the peeps to your Sunflower cake is a “piece of cake”! Place chicks around the edge of the cake facing inward (it will take 19 of the chicks). Don not separate them.